Cuba is not alone. The journal Frontiers of Pharmacology reported in 2014 that the use of herbal medicine has “increased tremendously over the past three decades,” with at least 80 percent of people in the developing world relying on these treatments for some aspect of their health care. Cuban officials are trying to further develop the health care system with better availability of over-the-counter treatments, vaccines and disease prevention. In the meantime, natural methods will have to do. 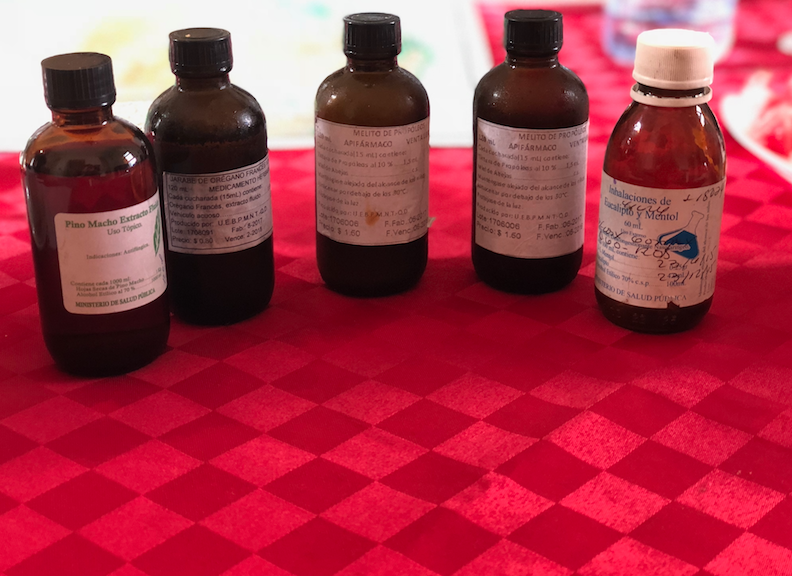 The government began a push toward natural medicine in the early 1990s amid the economic crisis that followed the disintegration of the Soviet Union, when Cuba could no longer depend on Soviet subsidies. Raùl Castro, then vice president under his brother, Fidel, began to encourage the education and practice of alternative medicine. “In ’91 and ’92, there were no pills. Those were hard years in Cuba,” says Rodriguez, the Cojimar doctor. Cuban medical schools began to educate students on homeopathic treatment options. Some treatments originated in Africa, others in Asia and Europe. While access to medicine is better than it was during the special period, resources remain limited, and many Cubans, like their peers around the world, find that natural treatments work. As a result, Cuban medical practitioners habitually use homeopathic treatments. Rodriguez’s specialization is natural medicine in the clinic’s department of Medicina Natural y Tradicional (MNT). His clients are primarily referrals from family practitioners, who send him patients seeking natural treatments in different specialties, from gynecology and orthopedics to mental health. He deals with everything from tendinitis to lumbar and sciatica issues to high blood pressure, depression and anxiety. Sometimes, alternative medicine is employed when modern medicine fails. When a patient’s stomach can’t tolerate an over-the-counter aspirin, he recommends arnica montana. The older his patients get, the less he’ll use acupuncture and the more he’ll implement massage therapy and moxibustion, or Chinese incense. Old-time herbal remedies can be an effective first course of action, they can be implemented in conjunction with modern pharmaceutical or they can be used in the creation of modern medicine, according to Rodriguez. Quality control is essential, even with the use of alternative medicine, said Diadelis Remirez Figueredo, a doctor in pharmaceutical science. She oversees clinical trials for the National Center for State Quality Control of Drugs (CECMED), examining the safety and efficacy of drugs. Herbal medicine is “more pure” and can be made more or less potent in the forms of pill or a suppository when processed by CECMED, Figueredo says, adding that the safest and best remedies are the ones backed by scientific evidence. Processing is also safer because it allows for the administration of safe doses of herbs, lessening the probability of side effects. The government says it is always conducting a number of clinical trials to examine the effects and benefits of various drugs and treatments, says Figueredo, who reports that Cuba exports products to Africa, as well as Venezuela and other countries in Latin America. Cubans who stock their cupboards with these remedies say that their personal experiences are proof enough. Havana residents Kiki Aleman and his wife, Lesbia, are avid users of natural medicine. They use oregano extract for a sore throat and an “antioxidant tablet,” made up mainly of morinda royoc, a plant native to the Caribbean, for stress and aches. The couple says that these herbs come in handy, particularly when an international exchange student they are hosting falls ill. They aren’t authorized to give a student over-the-counter or prescription medicine, but they can provide students with natural medicine. It’s a loophole on which they rely if the student hasn’t brought medicine from home or if local drugstores are out of supplies, which happens more often than some Cuban medical experts like to admit. The medical industry continues to struggle to acquire supplies and technology, given budget restrictions, scarce resources and the U.S. economic embargo. “Medicines are expensive, but the Cuban government is making an effort to make sure there is enough medicine,” said Rodriguez. Having worked as a medical assistant in Florida for two years, Rodriguez says he sees the vast differences in resource availability. The United States is more “well-prepared” in comparison to Cuba, he reports. Sophisticated medicine and high-quality doctors make the health care system more robust than the Cuban system, which provides available medical services to Cuban citizens free of charge. American use of natural medicine, meanwhile, more often compliments the advanced medical industry.